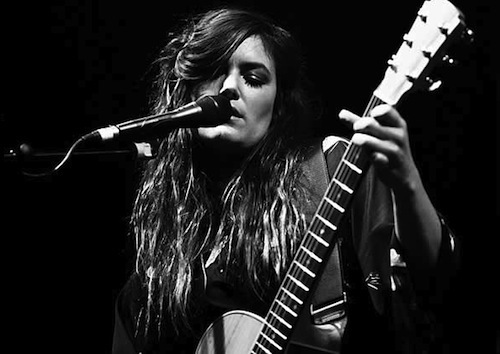 Julia Stone, one half of sibling duo Angus & Julia Stone, recorded her debut solo album The Memory Machine in New York in late 2008 but, with the sweeping success of A&J’s album Down The Way and subsequent world tour, she had to wait for a couple of years before releasing it. Described as haunting and mellow, The Memory Machine is not a far cry from the kind of songs Julia writes with Angus, but it does have darker undertones. A deep sense of longing pervades this ten-track collection of hushed folky songs, which are lit up by the occasional ray of hope. The artwork for the album is beautiful with old Hollywood style film posters painted for each of the songs that appears on the record. See all the pictures here.